Ever wonder how to become a better writer? It’s simple. Sit down at your keyboard and start writing. Yes, practice makes perfect. The more you do something, the better you become. That does not mean there is no natural skill or talent involved. But a mediocre performer or craftsman or player can outperform someone with a lot of natural talent by practicing consistently. 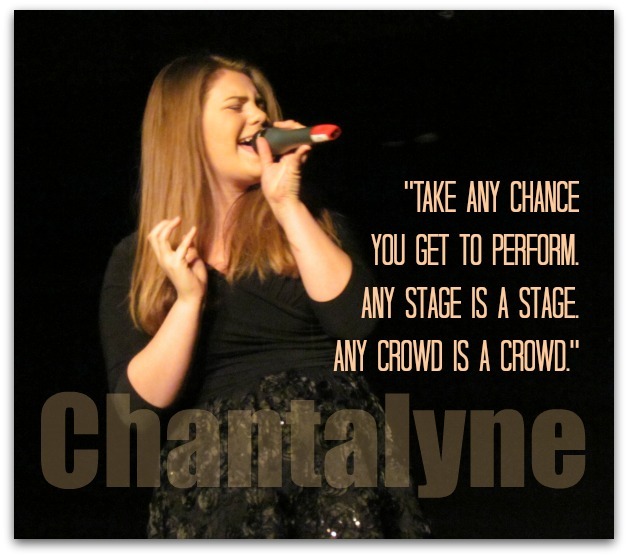 When my daughter was being interviewed on Rogers TV as the runner-up in Ottawa Idol, she was asked what aspiring singers could do to up their game. She said, “Take any chance to perform. Any stage is a stage. Any crowd is a crowd.” In other words… practice. To begin with, there is a very simple process to learn a craft or a skill – learn by doing. This is how our caveman ancestors learned. They didn’t have books. They didn’t have coaches. They just had “Go do it”. So we have ingrained in our DNA the ability to learn by doing. Learning how to do something is just the beginning. Learning how to do it really, really well is another thing entirely. And while there might be prodigies like Beethoven and Mozart who have some natural gift, most people have some talent in a number of areas, but require a great amount of nurturing to bring it to a level that will impress. The way in which you practice can have a much greater impact on your results than how much you practice. Natural talent isn’t considered important within this learning model. That is quite a strong endorsement of the power of practice, even overriding natural talent. But we can nurture even a small amount of talent to do impressive things. In large part, this is because our brains are highly flexible. The physical wiring in our brains changes throughout our lives. Learning and repeating and refining various activities causes our brains to change over time. If you want to play better hockey, your brain will become quicker and better at anticipating plays and instructing your arms and legs as you play hockey more frequently. There is a good layman’s guide to how learning affects the brain here. My dad used to tell me that our memory works best based on recency, frequency and vividness. Recency refers to how recently we last saw, heard or experienced something. Frequency refers to how often we experienced it. And vividness refers to how well an experience or a sight caught our attention. For instance, there are some things in life that happened only once, 25 years ago, that we remember “as though it was yesterday”. However, what we did yesterday, we will probably remember, even if it was pretty dull. They say you never forget how to ride a bike. That is generally true, because most people ride a bike many many times once they start. Even if it is not the most captivating experience, and even if it was many years since we last rode, the frequency keeps the memory of how to do it alive for decades to come. Practice might not make you perfect, but it sure makes you better! That is the value of practice. If right now you go and practice singing, playing hockey, cycling or baking blueberry muffins, you will be increasing both the recency and the frequency of doing so. You will remember better how to do it, so you will have a better chance of doing it better. Perhaps that is the vividness coming into play. A study at the University of Chicago found that students scored better on science tests when they physically experienced the concepts. Experiencing them is surely a more vivid event than listening to a professor talk about them. It stands to reason that repeatedly experiencing something will make a person remember not only the experience, but the nuances of each slightly varied occurrence. And so we come to repetition and practice. A study at Northwestern University found that with practice, one can improve his singing. In fact, it is how we interact with situations that help us learn. The more often our input changes the situation, the more we learn to improve our actions to create the right outcome. So if you want to write better poetry or better fairy tales or better blog posts, just keep writing and each time read what you have written and learn what works best for you. Get others to read, as well, and provide you with feedback. Hey, maybe there’s hope for me yet. I could rewire my brain to sing more like those times when I come closer to hitting the note, and less like those times when people abandon ship, running from the room with their hands covering their ears. Even a seasonal activity can be improved in the off-season. Thus we see hockey camps in the summer time and indoor soccer leagues when snow is piled up outside. There is no off-season for a writer; if you have nothing specific to write, just write for the sake of writing. Try challenging yourself in a genre with which you are not familiar, whether that be poetry, technical writing, screenplays or fantasy. If necessary, you can always write a diary. If you want to be a better singer, sing. If you want to be a better swimmer, swim. If you want to be a better writer, write. Over the years I have always told new writers to just write. Anything, important or otherwise. Just practice and when you re-read your efforts, you can see how to improve it. I tell them that writing needs practice, like learning to play the piano or any other skill. Bill. L . Old Author. I scribble something in my notebook every morning. Once you start, you soon get inspired. Good article. Practice is definitely important (kudos to your wise daughter, too! ), but I know from personal experience that practice alone is not enough… without confidence and self-esteem. We have to *believe* in ourselves and our skills, whether we’ve got natural talent or not; the moment we don’t believe, we lack the drive and motivation, and nothing happens, even if we write and write (it become mechanical exercise instead of a learning opportunity). I totally agree with the views that you’ve shared. It doesn’t matter how much we know about writing and no matter how many writing courses we take, the person who writes consistently will be better at it than the person who doesn’t put into practice what he has learned. I try to write something every single day whether through blogging on my own blog or through completing projects for clients or even just posting on social media. For me writing is therapeutic, not only for me but also for those who read my work. How come I missed this amazing post! Oh I could very well relate to some of this areas here! but consistence is the key here! Yes, a consistent practice will lead to victory! The connected links are indeed made great read too!